​I am a BACP registered counsellor and psychotherapist with a practice in Herne Hill, SE24. My practice services the South East London and South London areas including Dulwich (SE21), Brixton (SW2), Crystal Palace (SE19) and Forest Hill (SE23). ​I work with clients who are seeking to make changes to their lives, improve relationships, build confidence socially or in the workplace, talk through feelings of loss, deepen understanding, increase potential, and find ways of coping with and managing any current difficulties. It is not unusual to feel uncertain or anxious about making initial contact with a counsellor or psychotherapist. As an experienced practitioner I understand this, and am trained to listen and help with what may feel like a difficult first step. If you would like to explore things further, please feel free to contact me by telephone or email to discuss your present situation, or to set up an preliminary consultation. All communications between us will be treated in complete confidence, and I attempt to respond to all enquiries promptly. 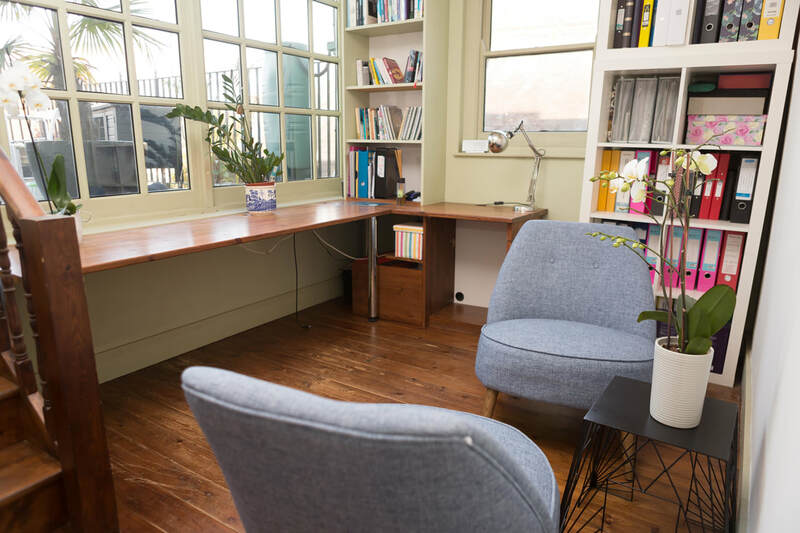 Both counselling and psychotherapy take place in a comfortable, private and confidential setting at my practice in SE24, South East London. Therapy is a collaborative process between the person seeking help and the therapist. It is suitable for anyone who is seeking to address troublesome feelings, develop greater understanding of their current difficulties, and find a deeper self-awareness of themselves and their relationships with others. During sessions, my focus is to attend closely to whatever you feel is important to raise, in order that we may explore and try to understand your feelings and identify the less conscious aspects of the thoughts, feelings and behaviours that may be contributing to the distress you are currently experiencing. Gaining insight into the nature of underlying emotional conflict can bring relief, and also opens up the possibility of changing unhelpful patterns which have been previously replayed without awareness.